This update is well overdue as my Crofter blanket was actually completed a long time ago, I've just never got around to sharing. 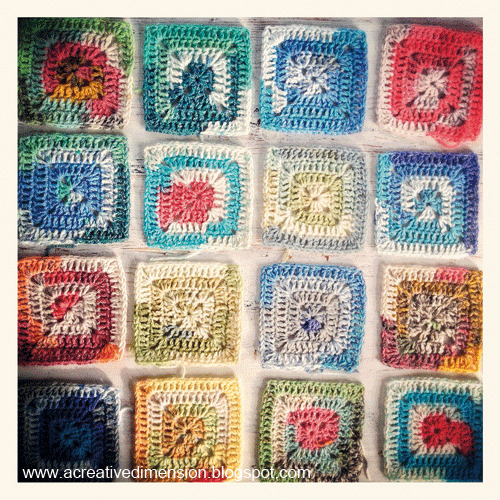 Remember my Crofter yarn purchase (made by Sirdar) and inspiration which I blogged about here ? 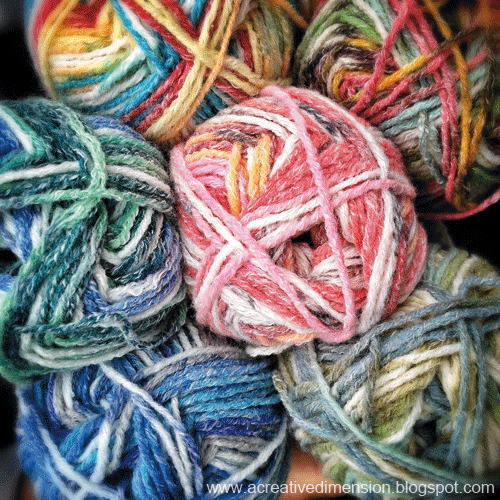 I loved working with this yarn and it opened my eyes to a whole world of possibilities with variegated yarns. Hooking up each square had added excitement as the colours came together to make each square like a uniquely coloured piece of art. The final project came together quite quickly. 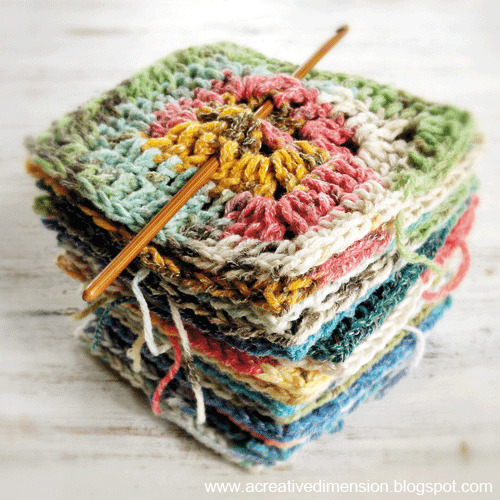 A very simple crochet'd square combined with variegated yarns seems to be a winning combination! 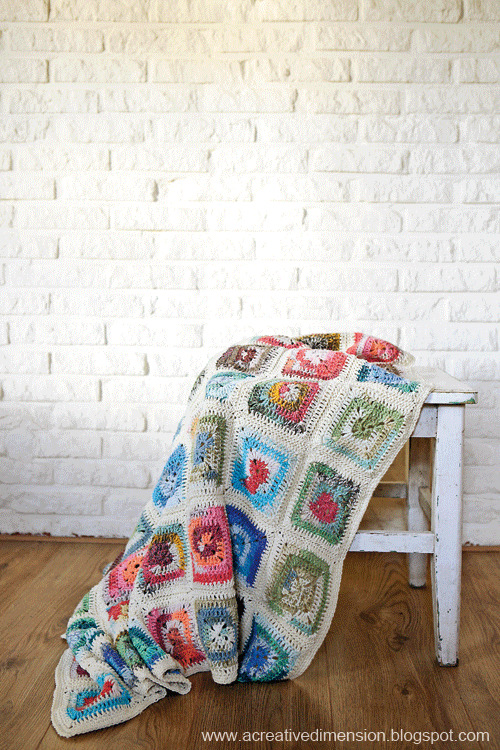 Inspired by your work and gorgeous blanket I have begun making a baby version of this blanket using the softer brighter Snuggly Baby Crofter. I will be blogging about this and will provide links to your blog for the inspiration you give! Many thanks and keep up the happy hooky work. Do you have the pattern for this? I would love to try it! Hi, I have just taught myself to crochet & have just started a blanket with the baby crofter yarn. 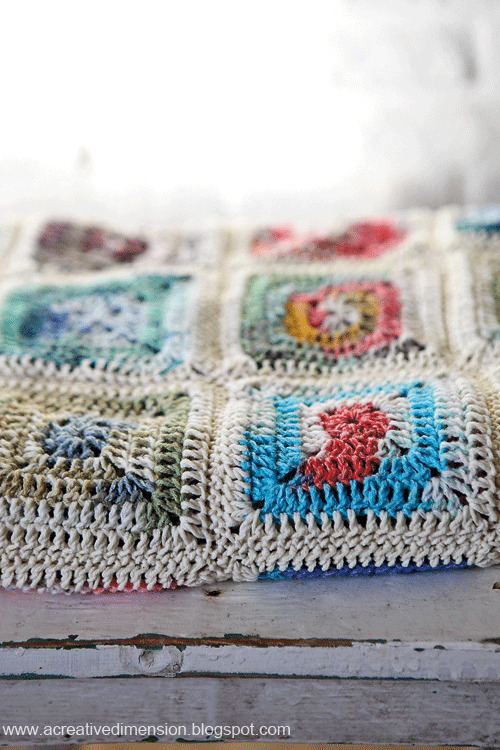 I have just discovered your lovely blog & have seen your lovely blanket in the crofter yarn. 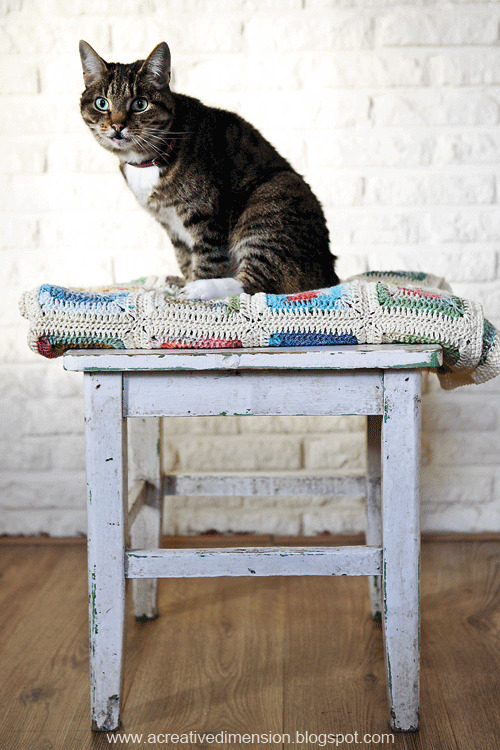 Could you please tell me what yarn you used for your final round that brings the blanket together? No image or text, in part or full may be taken or used from this website without my written permission. All blog content is copyright of www.acreativedimension.blogspot.com . Powered by Blogger.